Would you support an opportunity where students on the only campus in America that has been divided into two voting districts, can all vote together at the same place? An opportunity for young millennials who are STILL NOT REGISTERED, to REGISTER AND VOTE on the same day? 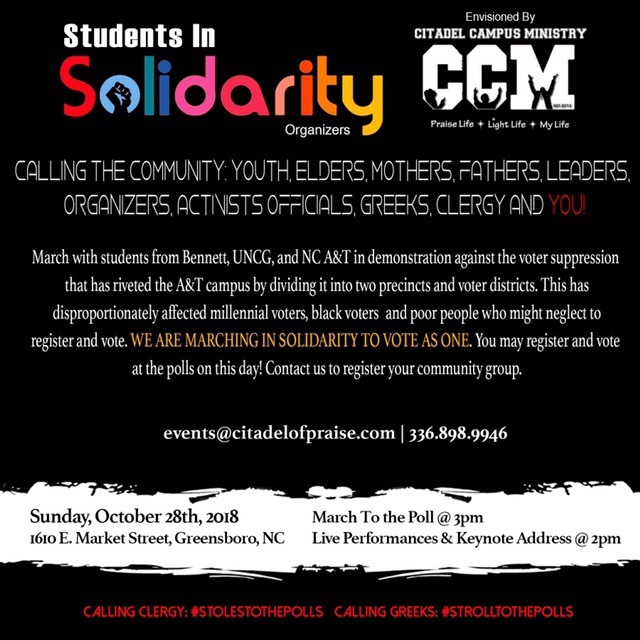 On Sunday, October 28th from 2-5pm students from all area colleges and the community that stands with them will take to the streets in a demonstration against voter suppression. After a rally with various speakers and performances as well as a keynote address from Rev. 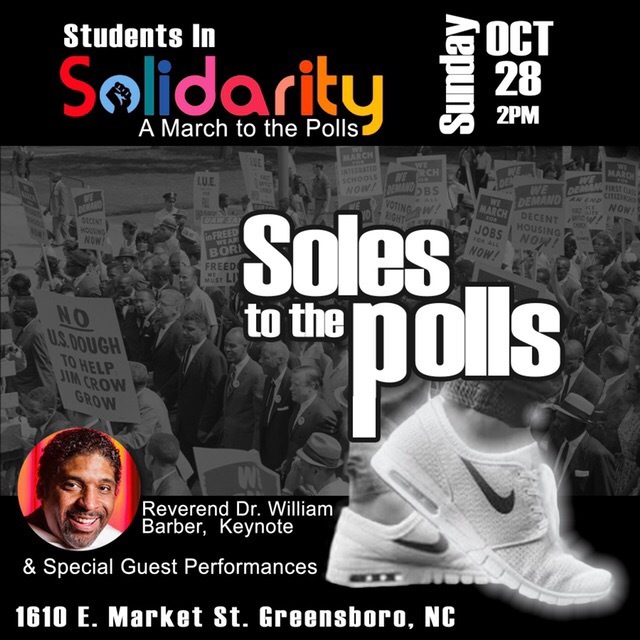 Dr. William Barber, we will march to the polls. We are asking all clergy to wear their STOLES TO THE POLLS and all members of the Greek-life community to STROLL TO THE POLLS. MONETARY DONATIONS for the sound/staging. CHURCHES TO DONATE THEIR VANS to carry students back from the march. 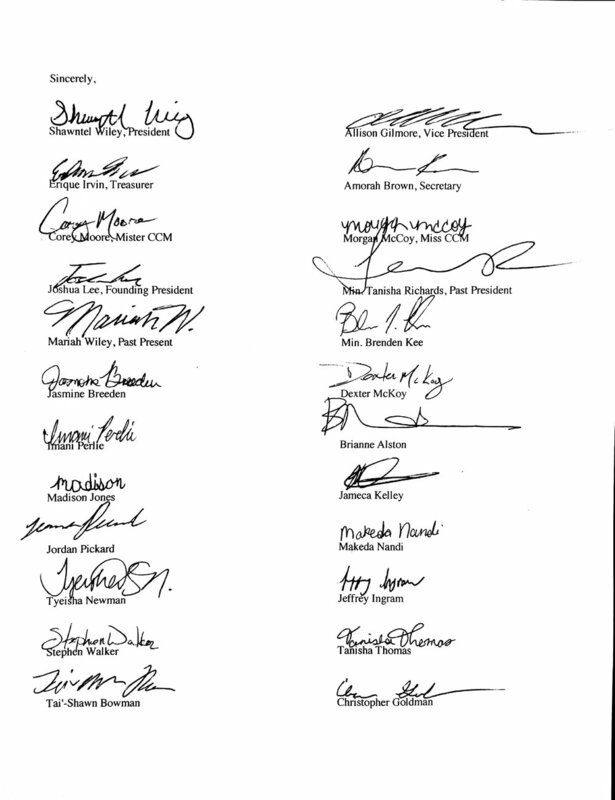 Pastors/community group leaders, please announce in your assemblies over the next week. Thank you!